The National Institute for Aerospace Research “Elie Carafoli” (INCAS), Romania’s leading aerospace research and development establishment, has acquired Leonardo’s Vixen 500E AESA radar for its new trainer technology demonstrator programme IAR-99 TD. The project is based on a Romanian Air Force IAR-99 Soim (prototype no. 7003) which will be modified by INCAS together with aircraft manufacturer Avioane Craiova. Leonardo has worked with INCAS previously, providing its Seaspray 5000E AESA surveillance radar for INCAS’s special mission BN-2 Islander aircraft. This is currently being used for scientific and environmental monitoring missions. It is hoped that the sale of the Vixen 500E could lead in future to Romania’s fleet of IAR-99s being retrofitted with the new radar as part of a wider upgrade program. Vixen 500E is one of Leonardo’s active electronically scanned array (AESA) radar systems, meaning that instead of physically pointing the radar’s antenna at its target, a matrix of miniature radar modules are used to steer the beam electronically. This technology allows Vixen to combine high performance with reliability and a low cost of ownership, as well as being easy to install and operate. The prototype aircraft with the radar on-board is expected to be ready for testing by the end of 2017. 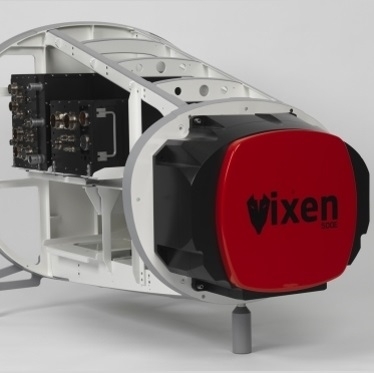 Vixen 500E is a compact, lightweight, AESA Radar that combines Fire Control, Surveillance and Reconnaissance search capabilities, along with target acquisition, tracking and prosecution capability for a variety of platforms and applications. These include Fighter, lead-in Fighter Trainer, Air Intercept and Homelands Security or any aircraft requiring a combined intelligence/surveillance capability along with target tracking and prosecution. The contract with INCAS follows Leonardo’s recent provision of the same Vixen 500E radar to the US Naval Test Pilot School (USNTPS) in Patuxent River, Maryland, where students will use the radar while training on-board the school’s C-26 aircraft. Previously, Leonardo has also sold the Vixen 500E to the United States for the Department of Homeland Security. For more information about Vixen 500E radar, click here.